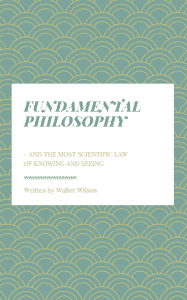 Fundamental Philosophy by Walter Wilson. I am so pleased every time a writer asks me for help to publish their works for a broader audience. During the last couple of weeks, this happened a couple of times. 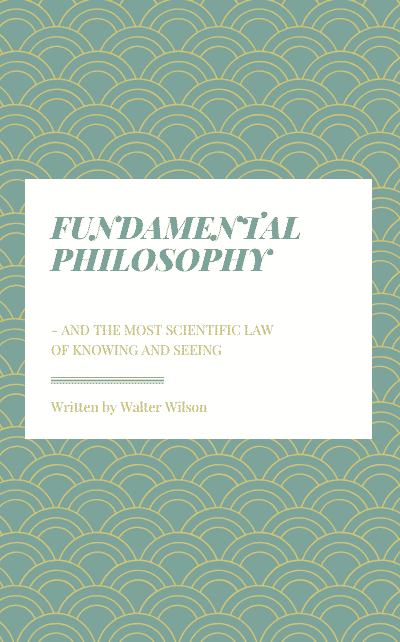 Recently Walter Wilson asked me to post his book about Fundamental Philosophy here and here it is: “The Most Scientific Law Of Knowing and Seeing, The Key to Constant Perfect Creativity In All Professional Fields and All Ways Of Life”.